IMEC today announced that it has established new partnerships with solar cell material and equipment suppliers. These companies, including MEMC Electronic Materials Inc., Leybold Optics Dresden GmbH, Roth + Rau AG, and Mallinckrodt Baker B.V., have concluded joint-development agreements with IMEC in the frame of IMEC's newly launched wafer-based silicon photovoltaics industrial affiliation program (IIAP). As part of this multi-partner R+D program, and with support by the Flemish Government, a solar pilot line will be set up. This pilot line will allow the partners to conduct advanced solar cell process development research in a semi-industrial environment, enabling an efficient transfer of the results of this research directly to the industry's production lines. “With our IIAP program, we want to set up a research ecosystem with the aim to create innovative processes to fabricate the next generations of silicon solar cells. Researchers from solar cell manufacturers and material and equipment suppliers will work together with IMEC's solar experts on developing these advanced processes and testing them on our pilot line” said Jef Poortmans, Program Director Solar+ at IMEC. MEMC Electronic Materials Inc., Leybold Optics Dresden GmbH, Roth + Rau AG, and Mallinckrodt Baker B.V., are starting joint-development projects with IMEC, complementing the participation of SCHOTT Solar AG, a leading photovoltaics manufacturer that recently joined IMEC's IIAP. MEMC has made its initial shipments of high lifetime, thin crystalline silicon solar wafers to IMEC. Leybold Optics Dresden GmbH is building an inline sputtering system A550V7 that will be shipped to IMEC in Q4 of 2009. Roth + Rau AG will ship an AK-1000 RIE inline plasma system for PV plasma texturization and PSG removal to IMEC in the same period. Mallinckrodt Baker B.V. will be providing novel fluoride- and non-fluoride-containing chemistry for the development of Hydrogen Fluoride (HF) replacement processes. To extend its silicon photovoltaics research infrastructure, IMEC will benefit from the recent decision of the Government of Flanders (Belgium) to invest in renewable energies. IMEC will receive a grant of 8.7 million euro. This grant will be used to set up the pilot line that will allow developing new processes in a semi-industrial environment. The partners in the program will help build this line, which will solely consist of industrial-strength tools. The goal is to develop process flows that can easily be transferred to the industry. “We are very grateful to the Flemish Government for their investment in PV research infrastructure. Advanced infrastructure is key to enable research on next-generation technologies;” added Jef Poortmans. IMEC's silicon solar cell IIAP concentrates on a sharp reduction in silicon use, whilst increasing cell efficiency and hence further lowering substantially the cost per Watt peak. 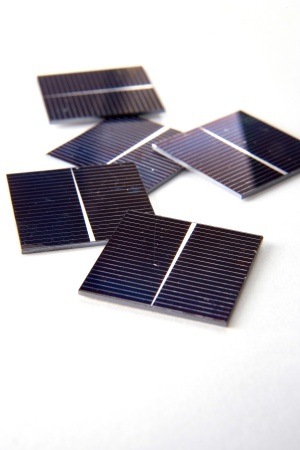 The program explores both wafer-based bulk silicon solar cells and epitaxial cells.